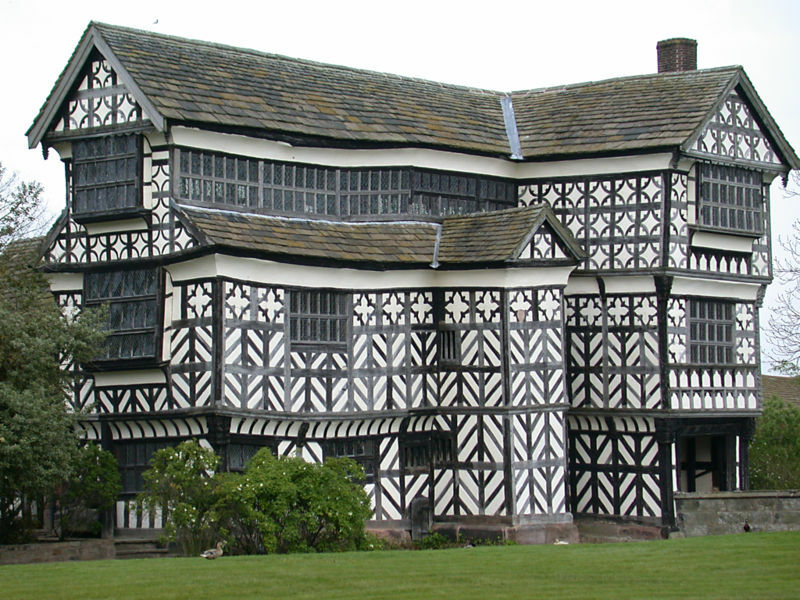 [Image: Little Moreton Hall, "an early model of energy efficiency," according to the Guardian Weekly]. Homes of the 1500s are still liable to lose less heat than their mock-Tudor counterparts constructed over the past few years, according to tests carried out for the power supplier British Gas. Tudor properties, with their oak beams plus wattle and daub infills, leaked 10 cubic metres of warm air an hour for every square metre of wall against 15.1 for a mock-Tudor home built in the 1960s... The surprise result is an indictment of recent government regulations but it has brought some pleasure to traditionalists of the architectural community such as the Prince of Wales. 'Wind turbines, solar panels and other hi-tech green devices might get the media attention, but the smartest way to save energy may be to live in a Tudor house and insulate the attic and repair the windows,' said Hank Dittmar, chief executive of the Prince's Foundation for the Built Environment. In other words, the article concludes, "the Tudors may be able to claim sustainable homes as another first, alongside tennis and beer."